Nowadays, “Stories” is a quite popular feature among social media, such as Facebook, Snapchat, WhatsApp, Instagram, and etc., known for staying only for a period of 24 hours and disappearing afterwards. Interested people like interesting things. It’s great fun playing Instagram stories, but wouldn’t it be more exciting if we are able to add background music to Instagram stories? 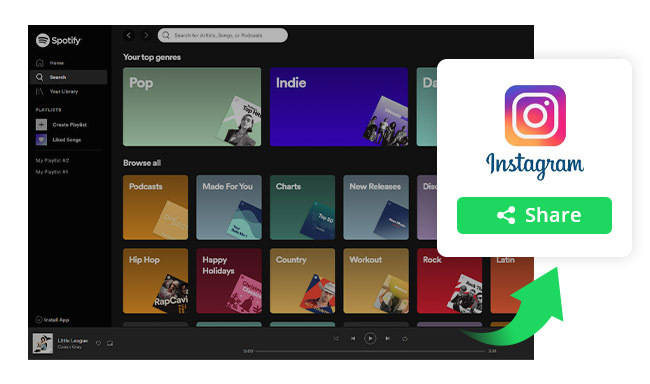 In this post, we are going to introduce two ways to add music from Spotify to Instagram stories. The first method is by the Instagram app itself and the second one is by a popular third-party app. Step 1. Launch Spotify, play the song you wish to add to your story, use the time bar to choose the section of the song you want to add, and then pause the song. Step 2. Launch Instagram and Tap on the camera icon at the top left of the corner. Step 3. Now play the song on Spotify and touch & hold the shutter button to start recording at the same time. Step 4. Tap on the “+” button at the bottom to upload your story. Tips: Once you have recorded the story, the song playing on Spotify would have had already been added to it. 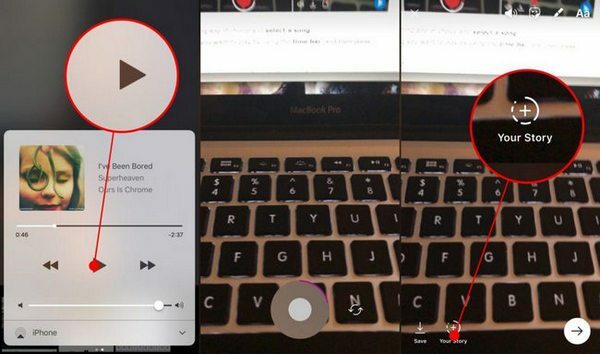 Method 1 is the easiest way to add Spotify track to Instagram story, but the downside of it is that Instagram will capture other sounds including noises from the surroundings as well except for the song playing on Spotify. Besides, the audio quality will be inferior to Spotify. If you’d like to add music from Spotify with the highest audio quality, please refer to Method 2. 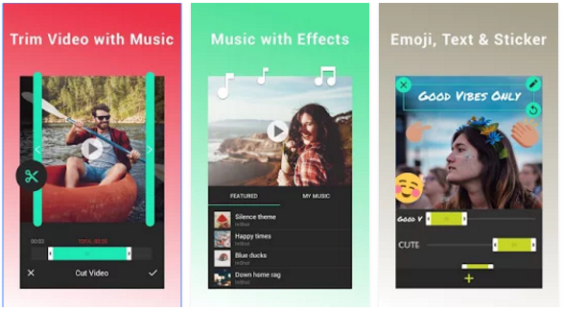 To pursue a perfect way to set Spotify music as the background music for Instagram stories, we can first download the song from Spotify and then add it to Instagram stories with a video editor. 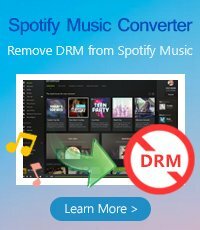 Nevertheless, Spotify is a streaming music service, for which we are unable to download any song from it because of DRM protection. In other words, we will have to get rid of the DRM first before we import the song to a video editor. 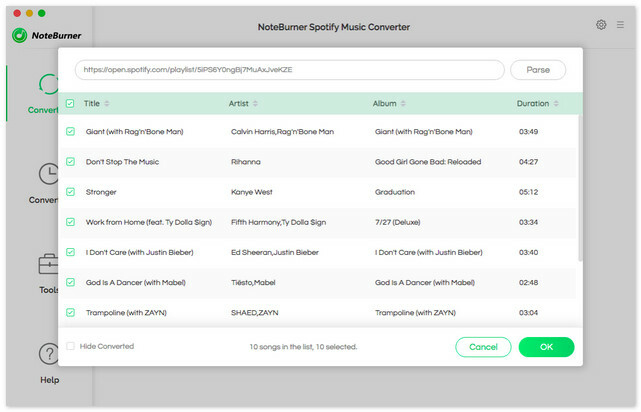 NoteBurner Spotify Music Converter for Mac is an expert in removing DRM from Spotify and converting them to a common format - MP3, AAC, FLAC or WAV. Click button "+" on the upper left. And then simply drag and drop the song you want to add to Instagram Stories from Spotify to NoteBurner. Click the gear button on the upper right. Here you can choose output format (MP3, AAC, FLAC or WAV), output quality (High 320kbps, Medium 256kbps, Low 128kbps) as well as output path. Click "Convert" button. 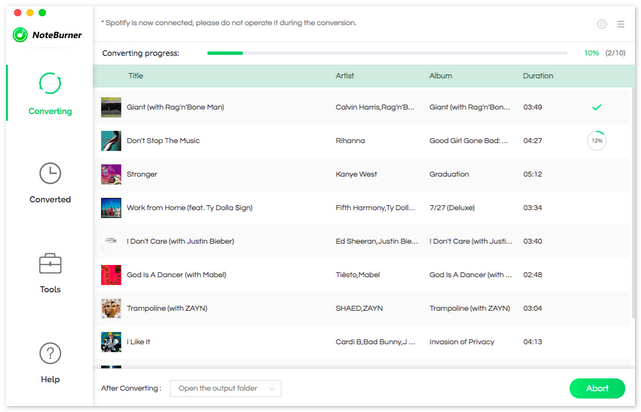 When the conversion is done, the song you select in Step 2 would have already been converted and downloaded in the DRM-free format you selected in previous step. Transfer the converted song to your Andorid phone or iPhone. Open the Instagram video with InShot Video Editor and trim it to your need. 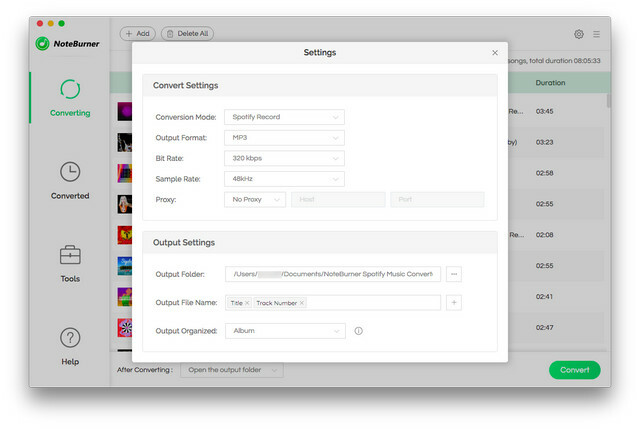 Then tap on the Music icon at the toolbar and select the song you downloaded from Spotify. Finally, save the video and upload it as a story to Instagram.